A unique jobs fair was held in Naas yesterday to enable 10 young people with an intellectual disability present their skills and attributes to prospective employers. These ten young people will graduate from Project Search at Naas General Hospital this coming July with the aim of gaining real employment in the open labour market. Since September, they've had the opportunity to sample a real work situation at Naas General Hospital carrying three work rotations and completing QQI accredited training aimed and sourcing employment. KARE's supported employment will support the individuals in their future employment opportunities. Project Search invited employers to come and meet the prospective employees at the jobs fair at the Osprey Hotel on April 1. Each prospective employee prepared an individual presentation about themselves and the skills they will bring to a workplace. Dep Fiona O'Loughlin launched the event at 10.30am and it ran until 1pm. 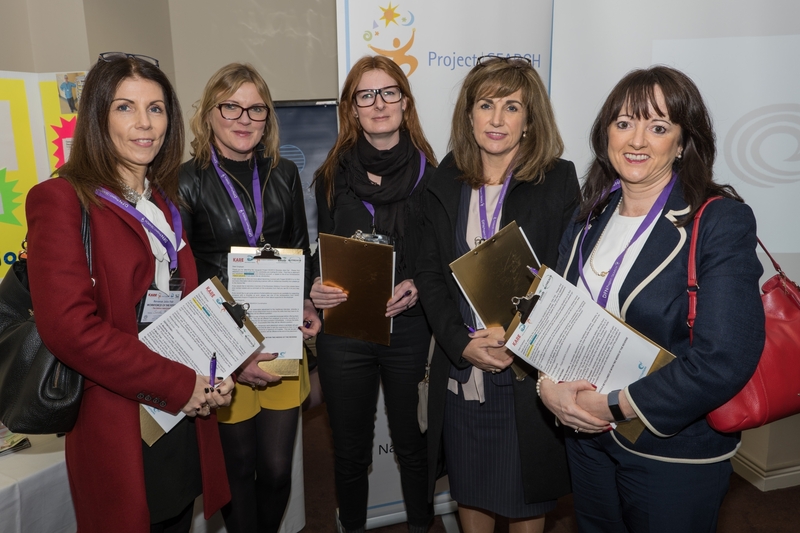 For further information on Project Search, or if your company would like to employ the graduates please contact Patricia Cribbin on 087 7740579 or Annie Swords on 087 3518779.